My talk on Sports Psychology is set at 2:00 PM. 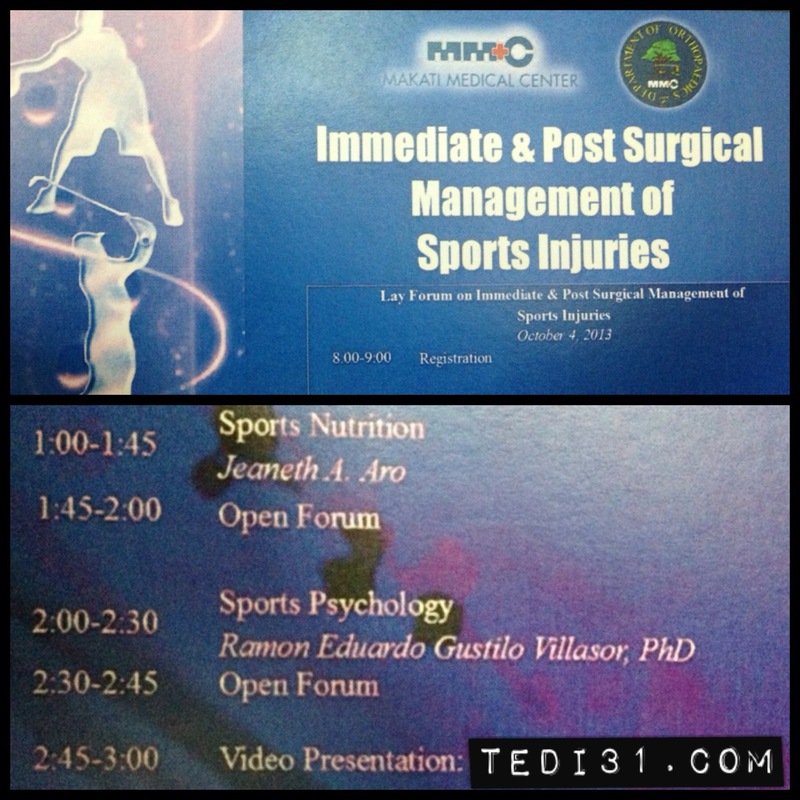 The Department of Orthopedic Surgery at the Makati Medical Center (MMC) has invited me to speak on the “Benefits of Sports Psychology with Injured Athletes” (2:00 PM to 2:45 PM) during their Lay Forum on Immediate & Post Surgical Management of Sports Injuries. The lay forum is free to all interested parties including coaches, athletic trainers, physical therapists, and graduate students of physical therapy and physical education. It will be held at the MMC Auditorium, 8th Floor, Tower II, Makati Medical Center, Makati City on October 4, 2013.